From the East: Take I-90 West to Rt. 83 turn left (South) on to Rt. 83 then take a right (West) on Rt. 254(Detroit Rd.). Olde Avon Village is on the right. Located at 36840 Detroit Road. From the West: Take I 90 East to Rt. 83 turn right (South) on to Rt. 83 then take a right (West) on Rt. 254(Detroit Rd.). Olde Avon Village is on the right. Located at 36840 Detroit Road. From the South: Take Rt. 83 North to Rt. 254(Detroit Rd.) take a left on Rt. 254. Olde Avon Village is on the right. Located at 36840 Detroit Road. From the North: Take Rt. 83 South to Rt. 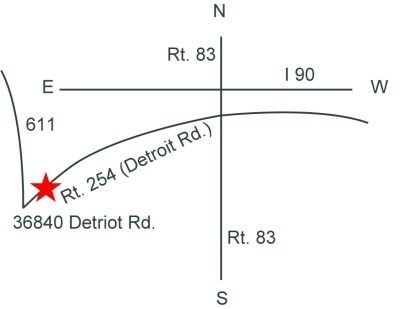 254(Detroit Rd.) take a right on to Rt. 254. Olde Avon Village is on the right. 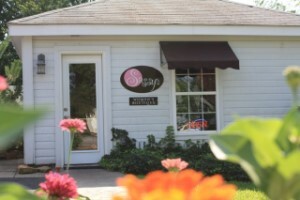 Located at 36840 Detroit Road.